There are many therapies which attempt to stop pain. Most of them mask the pain while hoping the body is able to heal itself or push the body to heal faster while offering limited pain relief . The characteristics of pain give important information about what is causing the body to send pain signals. It is important to address the underlying problem that forced the body to send a pain message, not just ease the pain itself. Otherwise the body will send out other warning signals until the underlying problem is addressed. 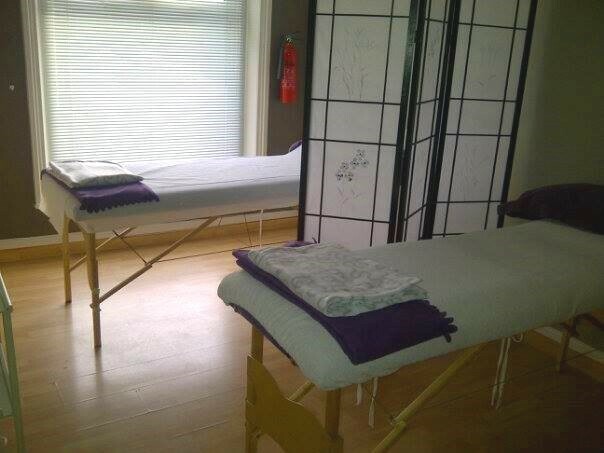 At EAST Norwich Acupuncture one of the methods I use to treat pain is Huo Tuo Jia Ji Paravertebral acupuncture. Huo Tuo Jia Ji acupuncture has been known and practised for many centuries. The discovery of these points is attributed to the legendary ancient Chinese physician Huo Tuo who lived and practised between 1st and 2nd century AD. Huo Tuo was famous for his simple. concise and effective form of acupuncture. The set of 12 thoracic and 5 lumbar paravertebral points we use in spinal acupuncture were named in his honour by the ancient Chinese scholars. The use of these points has developed from merely being used to influence the spinal nerves for the treatment of referred pain, to an efficient acupuncture therapy which can treat and assist in the control, regulation and harmonisation of the whole body. Pain can be one of the most debilitating conditions to live with, possibly leading to weight gain, depression and isolation. Don't suffer unnecessarily. Cupping is a therapy in which a vacuumed cup or jar is placed onto the affected area or any part of the body for treatment purposes. This treatment is predominantly used to disperse stagnation, detox the body and expel pathogenic factors from the surface layers of the body in order to promote the circulation of the blood and Qi. The cups can be left in one position, to help remove stagnation and relieve pain or the cups can be used with oil, to glide over the body for a massage type therapy. This experience is quite different to a normal massage however, as there is no pressure exerted onto the muscles, rather it uses gentle pressure to pull them upwards. Clients find this a very relaxing and relieving experience. Cupping is used to help relieve back and neck pains, stiff muscles, anxiety, fatigue, migraines, rheumatism, stress and is helpful in treating colds and flu and other general health conditions. Cupping is often used as part of an acupuncture treatment, after the needles have been removed but can also be booked as a stand alone treatment. ​Please Note: No long lasting marks are left on the skin, I do not cup aggressively as there is no need, and the purplish marks disappear virtually immediately. Acupressure balances the body's energy is the same way as acupuncture but uses finger pressure to the specific acupoints along the channels. Acupressure can be used to release tension, increase circulation of blood and heighten the body's life force to aid healing. AcuTaping is another holistic approach to the treatment of muscle, ligament and joint pain. By combining the principles of Chinese Medicine and Acupressure with that of AcuTaping, the tape can be placed to achieve maximum effect. In my Saturday Multi-bed Clinic there are two beds with a privacy screen between them. This means you can benefit from the experience of acupuncture at an affordable cost, in a relaxing and comfortable environment.